The goat show didn’t start until 4:30 p.m. Monday. However, for Paige Garrett, the hard work of grooming her goat’s coat began in the early morning in order to be ready for the afternoon show. 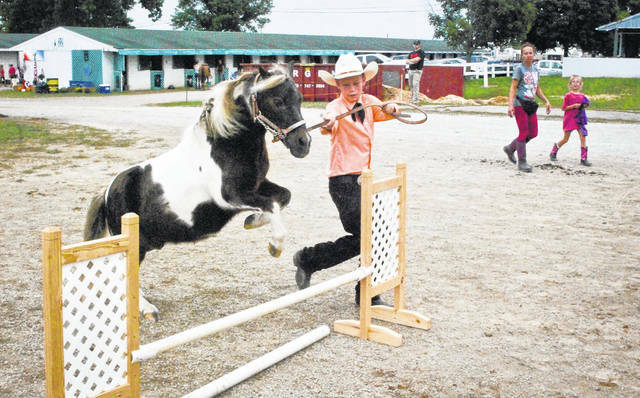 Skyler Swendrick practices jumps with his pony, Dash, prior to entering the ring to perform before the judges. 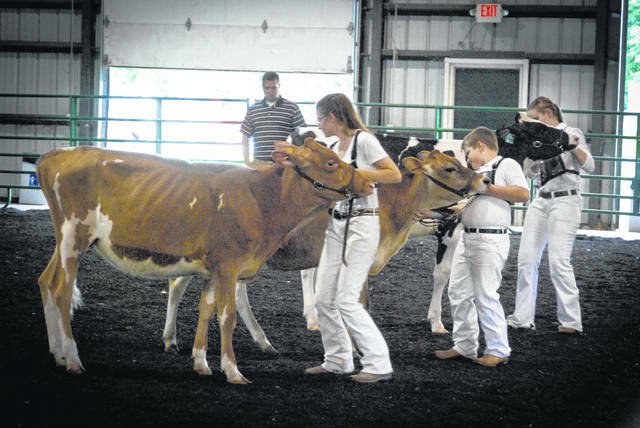 Contestants in the Junior and Senior Dairy Show try to line up their cows for the judging on Monday. 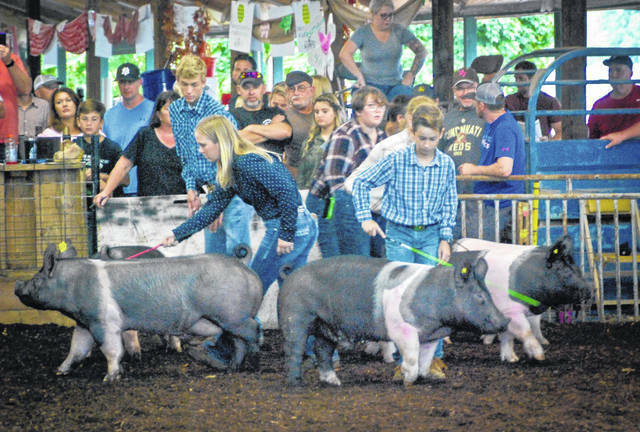 Market pig showmen parade their livestock around the ring as the judge sorts out which pig has a champion’s skeletal frame and proper muscular structure to match. 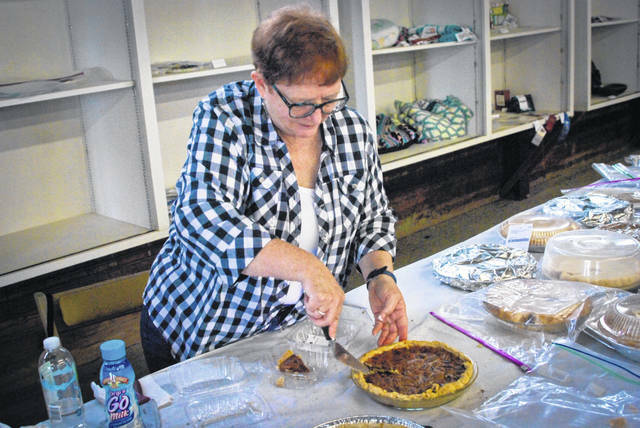 In the Arts and Crafts Building Monday morning during the nut pie contest, Cheryl Newell cuts a piece of pecan pie to judge. Newell is a former Buckeye Valley High School home economics teacher. 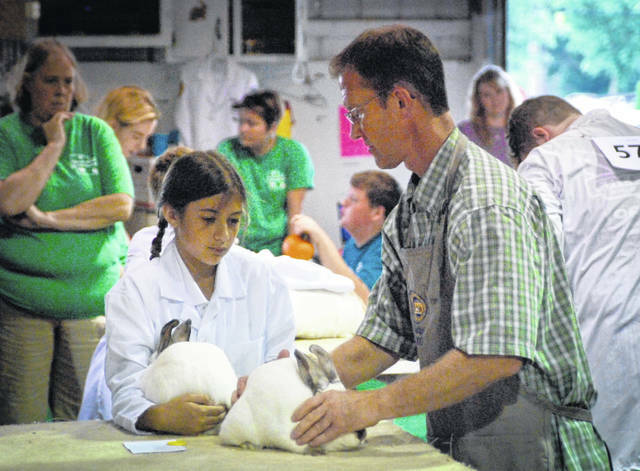 Judging the roaster rabbits, Kevin Hooper looks at 11-year-old Ainsley Russell’s two rabbits. Russell won Grand Champion in the category. 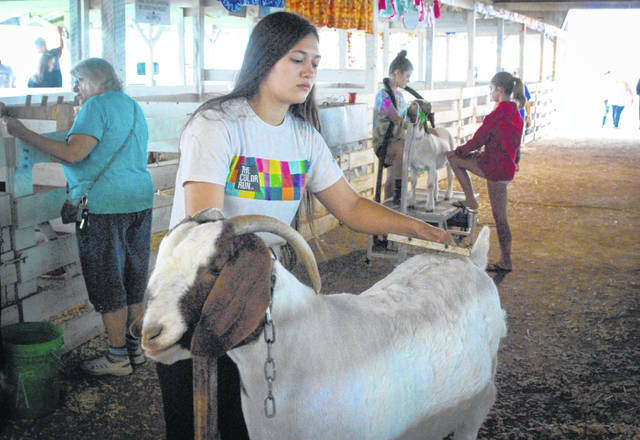 Images from the 2018 Delaware County Fair.